End Online Hate Before The Damage Is Done! and help end online hate! 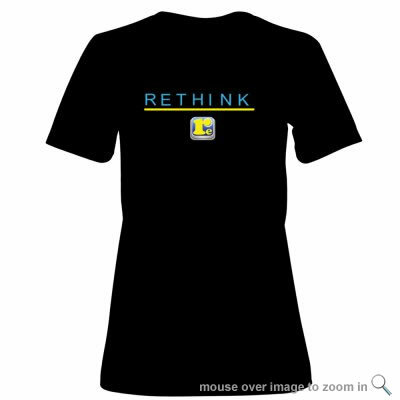 Your purchase helps get ReThink™ in the hands of more students at no cost to them. Thanks for your support. Together we can stop cyberbullying before it occurs! If you would like to purchase for your club, teams or classrooms in bulk, Click here! We offer great discounts! Our Store Policy: We take pride in selling highest quality merchandise and offer best packaging and shipping in the industry. To keep the costs down, no refunds or exchanges are being made possible at this present time. All sales are final. All items will be shipped in 6-8 business days. We appreciate your understanding and support. Thank you! 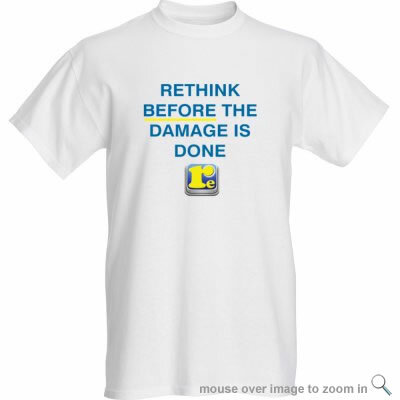 Proudly express your support of ReThink's mission to stop cyberbullying before the damage is done with this SignatureSoft Tee. Ultra-soft, fitted. 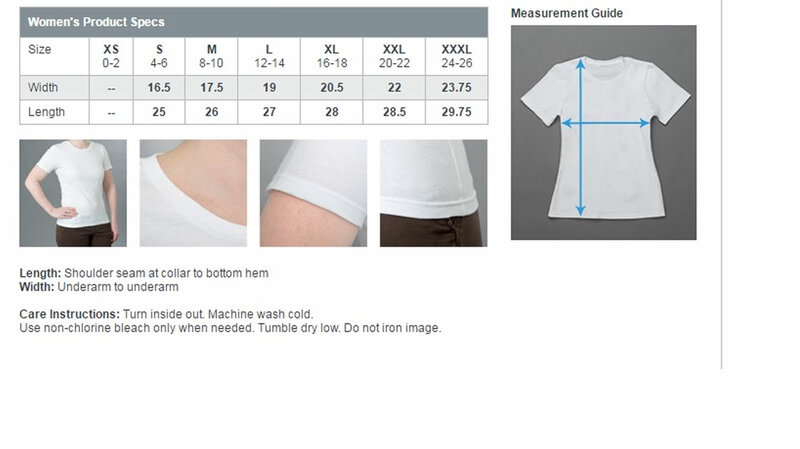 4.5-ounce, 100% ringspun combed cotton. Proudly express your support of ReThink's mission to stop cyberbullying before the damage is done with this classic style. Comfortable loose fit. 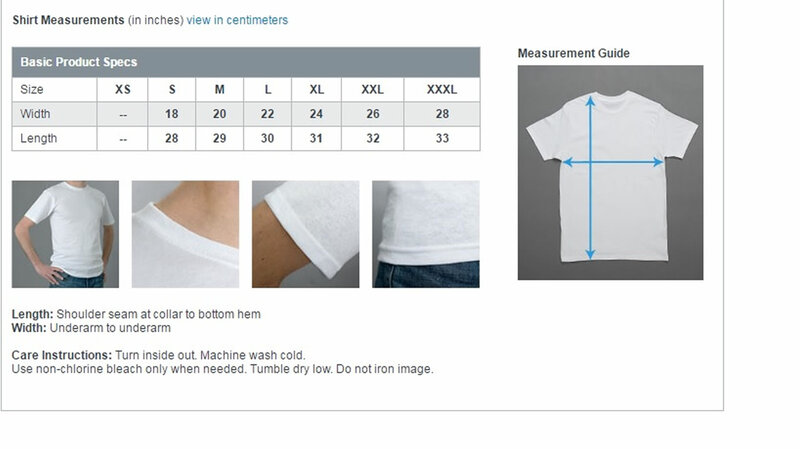 5.3 ounce, 100% cotton. 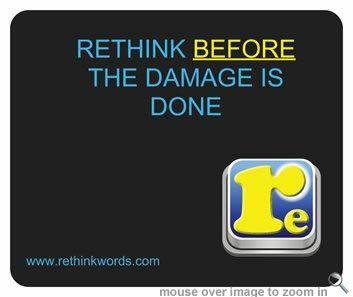 A perfect addition to both educational and community settings, this ReThink poster reminds every student to pause, review, and ReThink online. Smooth, rich texture. 121.6 lbs-paper. Luxurious to touch! The ReThink tote is a sturdy carry-all, great for all occasions. 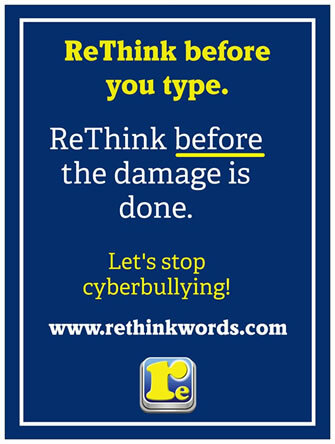 Share with the world your support of the ReThink cause to end cyberbullying. 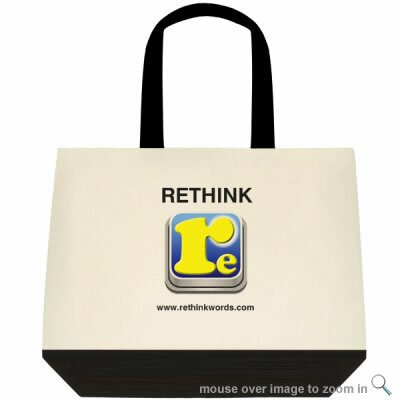 This beautiful ReThink totebag can be utilized in a variety of ways, from school to shopping. Two-Tone Deluxe Classic Cottion. 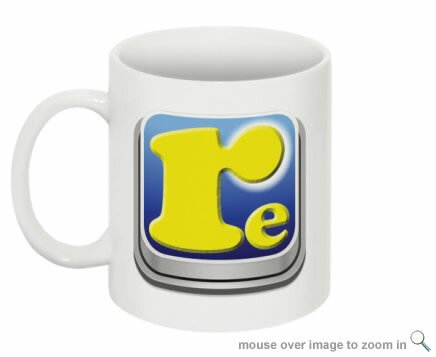 Use this beautifully crafted ReThink mug at home and at work to show your support! Know that with every sip from this mug, you are helping another child get ReThink and stopping the hurting one message at a time! ReThink is based on award winning research that over 93% of the time, with ReThink, kids change their minds and decide not post a hurtful message. What better way to display support for ReThink than a mousepad for your student at home and at school? ReThink mouse pad has a large surface area -- ideal for all mouse types. It is professional and practical!